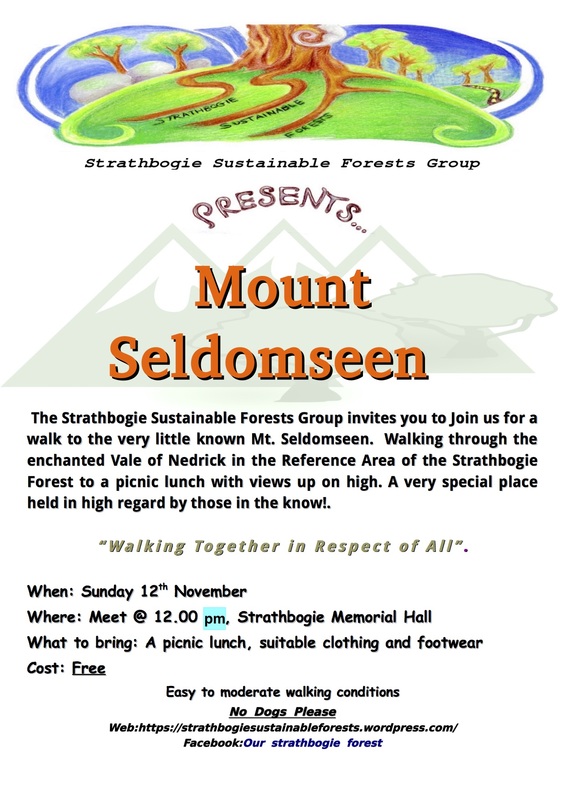 Strathbogie Ranges – Greater Glider hotspot! 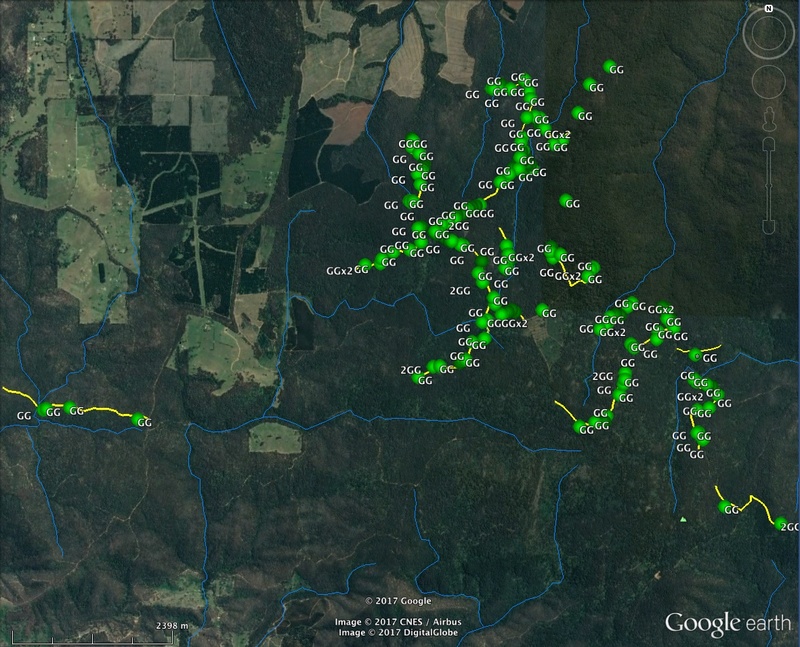 Location of every Greater Glider detection recorded during this study. 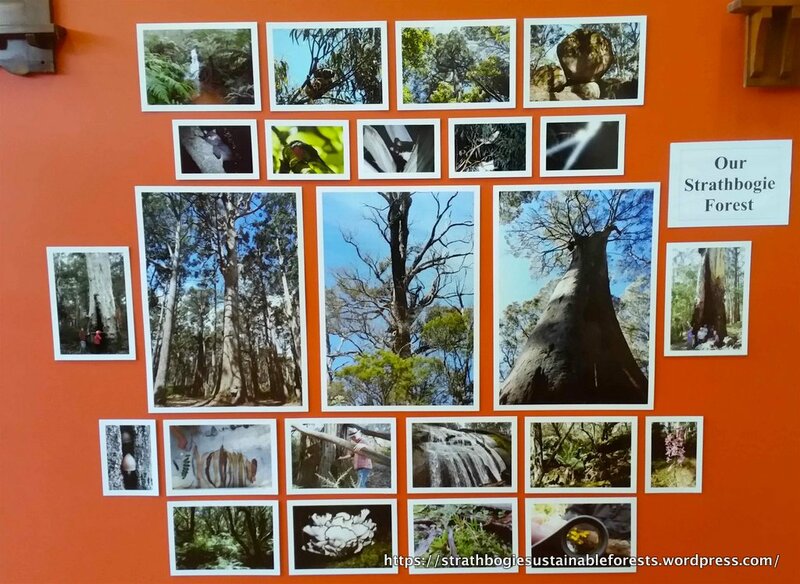 As part of our Strathbogie Forest Citizen Science Project, in the last year or so, we conducted 42 hours of spotlighting, along 27 km of forest tracks, surveying approximately 161 ha of forest. Most of these community surveys occurred in April and May 2017 and ran twice per week – Monday and Friday evenings. Twenty-five different people took part in the spotlighting surveys. All fauna detected during the surveys were recorded, but the focus was on three species- Greater Glider (Petauroides volans), Yellow-bellied Glider (Petaurus australis) and Powerful Owl (Ninox strenua). During these surveys, Greater Gliders were detected 202 times, Common Ringtail Possums 46 times, Koalas 27, Mountain Brushtail Possums 16 and Sugar Gliders three times. There were no detections of Yellow-bellied Glider. We detected Southern Boobook Owls on 10 occasions, Powerful Owls four times and Tawny Frogmouth and Owlet Nightjar once each. Update: Victorian government surveys have confirmed that the Strathbogie Forest contains the highest detection rates of Greater Gliders recorded anywhere in Victoria, possibly Australia. And those forests are about to be logged!